The Sisters of Service, a community of Roman Catholic religious women, were pioneers in their own right in bringing the Roman Catholic Church to outlying districts in Canada. Founded in 1922 with headquarters in Toronto, the 125-member community of Sisters dressed in simple grey uniforms with contemporary hats and lived in small communities, abandoning the traditional religious habits and large convents. 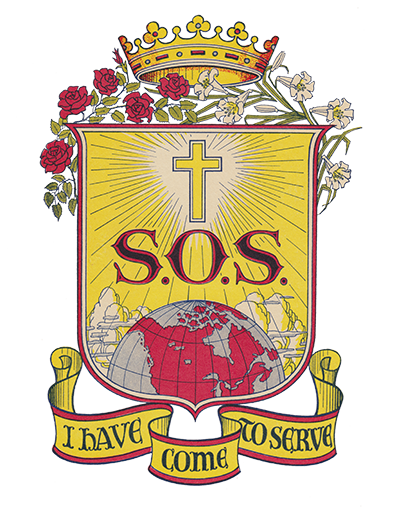 Under the chosen motto of “I Have Come to Serve,” the Sisters provided a Catholic presence among the immigrants from the ports to their homesteads and assisted in the transition to Canadian life. 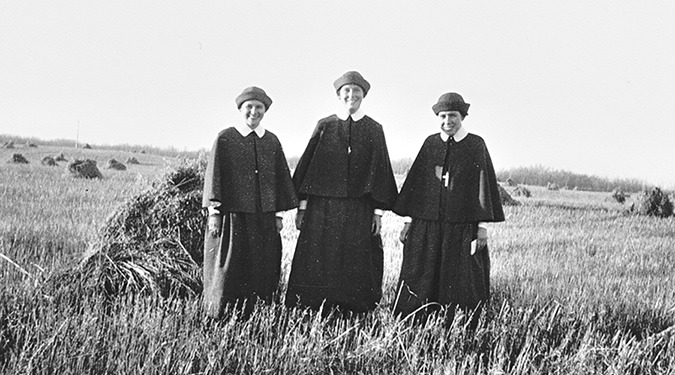 In the smaller communities of Western Canada, the Sisters were the teachers, nurses and social workers. In the larger cities, they provided shelter under the roofs of their women's hostels/residences. Thousands of children were instructed in the Catholic faith through their religious correspondence schools and religious vacation schools during the summer. In 2011, the Sisters signed a sponsorship agreement with the Sisters of St. Joseph of Toronto, who have assumed their administration.